The film COLD WAR 2 (HONG JIN 2) earlier wrapped up production. The team shot on the overpass outside the Wanchai police headquarters early in the morning. 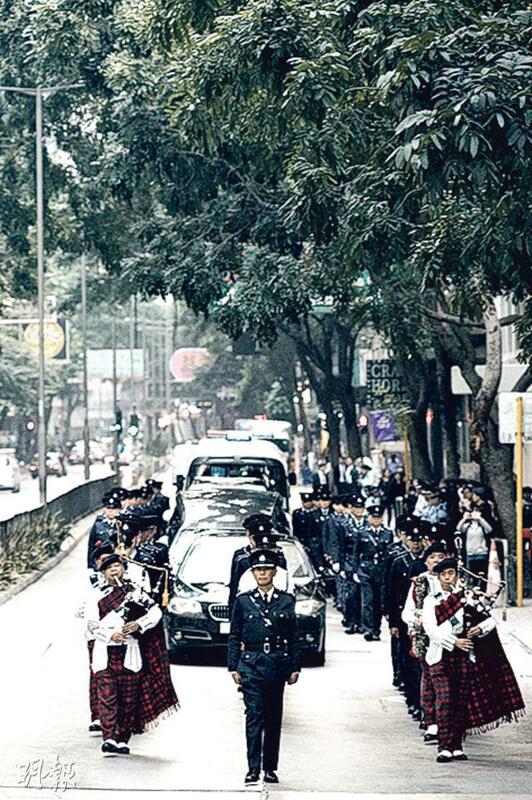 In the scene Gordon Lam Ka Tung who passed away in the previous film received a honorary funeral. Almost 300 extras played police officers and marching band members. The team was present at 4AM to prepare and rehearse in order to coordinate with the 6AM morning sun. During the shoot, over 300 extras were very well coordinated. The shoot went very smoothly. The team then went to shoot at the Gallant Garden in Fanling. The scene was the entire film's production wrap scene. 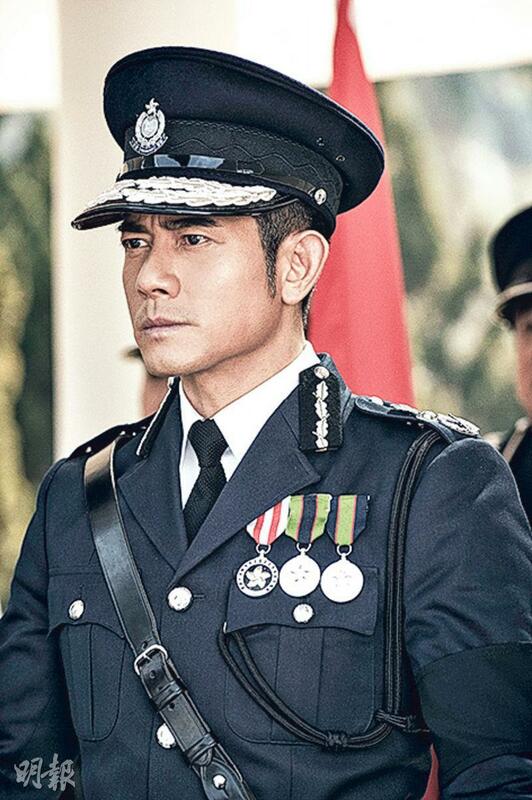 Lead actor Aaron Kwok Fu Sing looked great as the commissioner and gave the eulogy in fluent English. He even saluted Ka Tung's on screen widow. Before the shoot, Sing Sing seriously practiced the English eulogy and salute. The director announced after the wrap, actors Sing Sing and Charlie Yeung Choi Nei immediately went from actors to photo opportunity targets. Then Sing Sing worked on an additional shot. After that, the directors and the boss gave Sing Sing a champagne surprise for a "finale wrap". Sing Sing said, "I hope soon there will be COLD WAR 4, 5, 6 and break the most films in a series record, exceed the Wong Fei Hung film series. Even in COLD WAR 20, at age 80 I would still be working!" He said that this time in comparison to COLD WAR, he had better chemistry with the entire team and Tony Leung Ka Fai. He was also happy about Fat Gor's addition. Janice Man Wing Shan finished the shoot earlier. She often took her phone and took photos with the director and the team. The team also prepared champagne and cake to celebrate the wrap for JM. The day happened to be the sound recording engineer's birthday. JM led the team in a rendition of the birthday song.